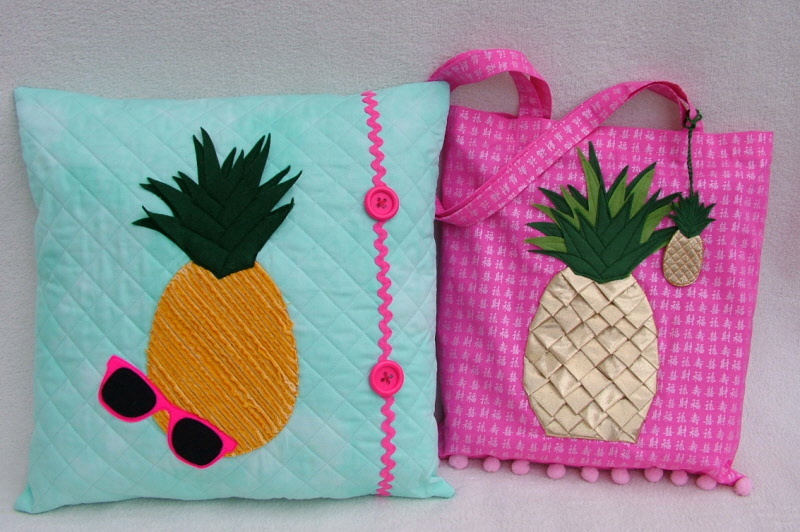 Gail Penberthy is carrying on the summer theme with these terrific pineapple projects. Perfect for the summer you can make a bag and a cushion using different techniques to get the fun effects. One of the designs is woven and the other is a chenile technique, where you cut through layers of fabrics to get the 3D effect. Perfect for the summer, the bag measures approximately 16 x 14 inches and the cushion is 17 x 17 inches.